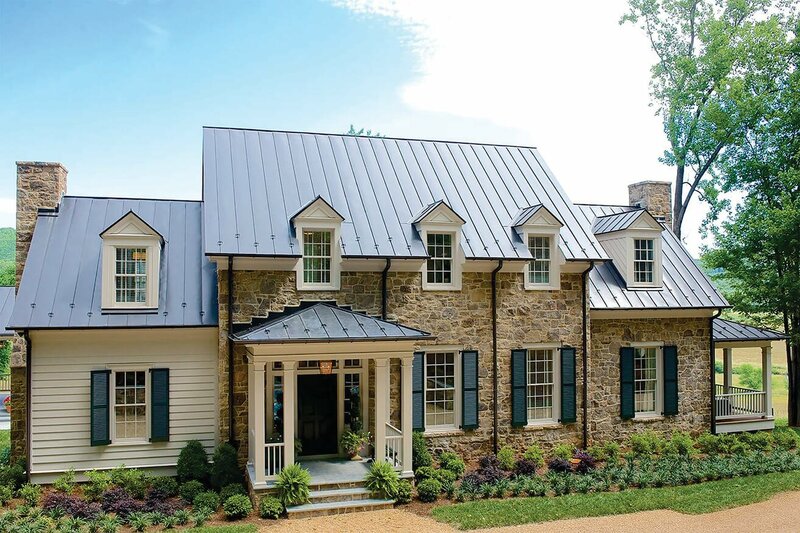 A cut above even the typical custom shutters, this gallery proudly features a wealth of unique and inspiring designs. 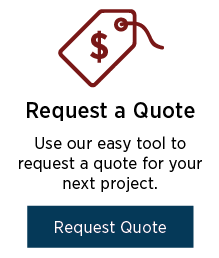 If you are looking to be inspired by clever touches, one-of-a-kind installations, and projects that take customization to new heights, these projects will catch your eye and expand your shutter horizons. 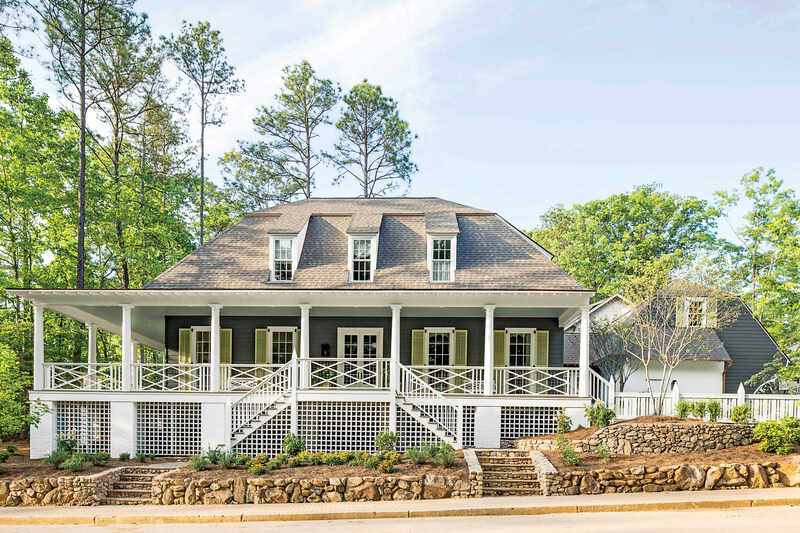 Southern Living’s 2016 Idea House featured tall, light green operable louver shutters, which contrasted with the cottage’s dark blue-gray exterior beautifully. 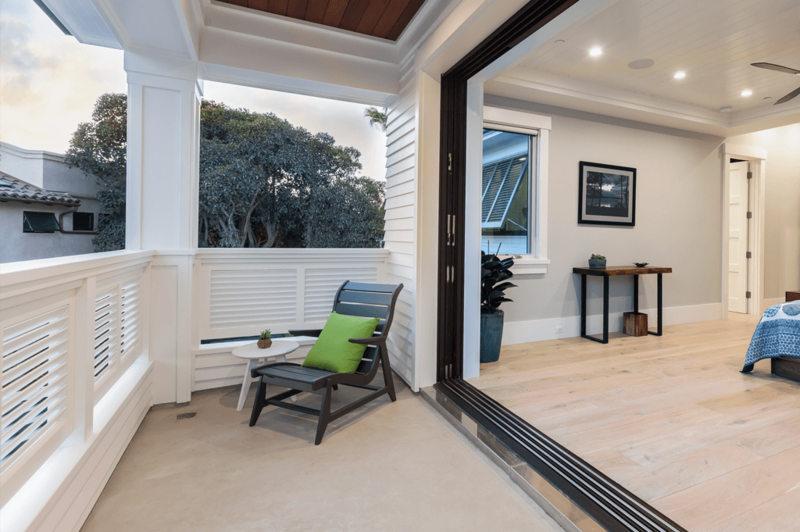 Operable louver shutters with a 50/50 configuration and functional hardware dress the floor-length windows flanking this inviting entryway. 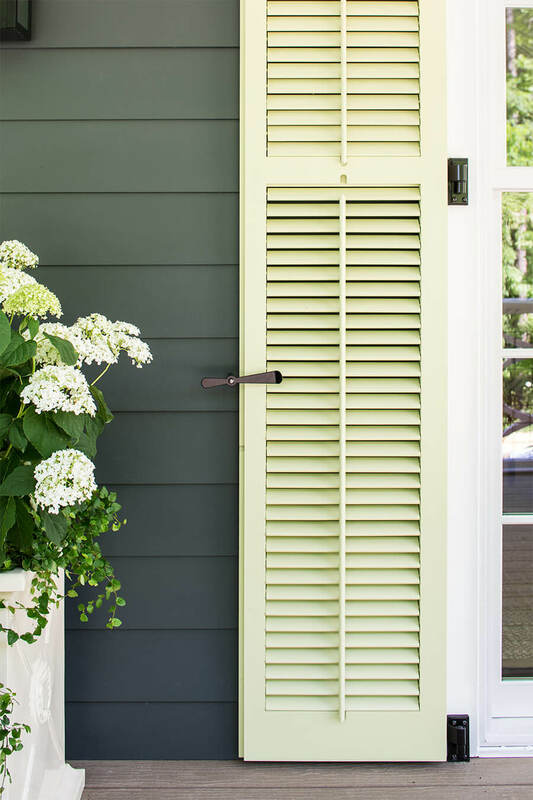 This closeup of our operable louver shutters on the 2016 Southern Living Idea House shows how a colorful shutter can add personality to a color scheme of dark and light neutrals. 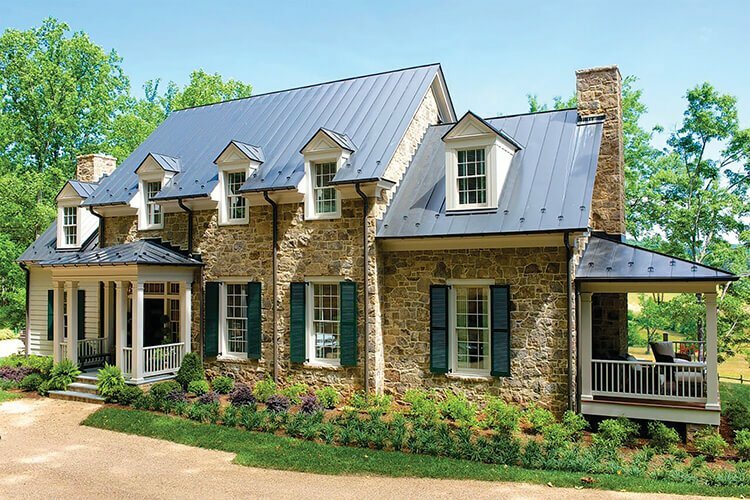 The gorgeous landscaping and architectural design of the 2015 Southern Living Idea House is elegantly complemented by our Holly Green louver shutters in a 50/50 configuration. 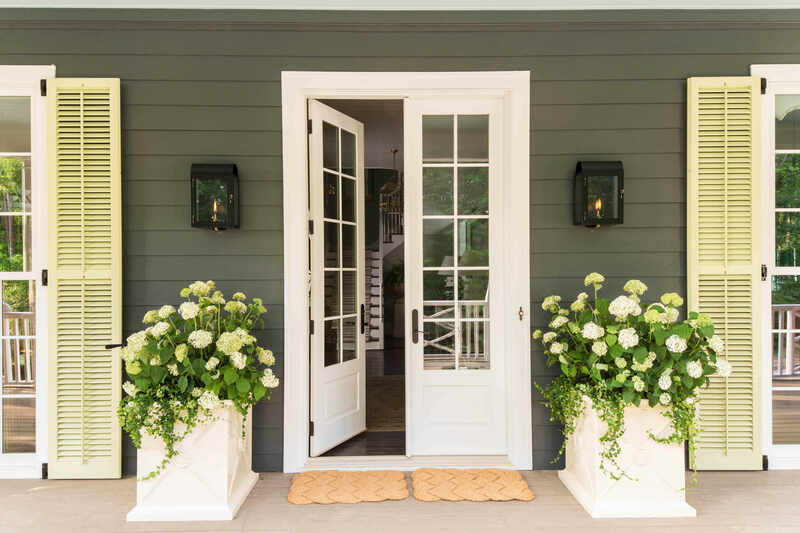 Jewel tones throughout the landscaping are picked up beautifully in our Holly Green louver shutters, a perfect accent to the neutral stone and siding on Southern Living’s 2015 Idea House. 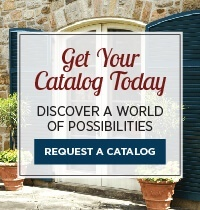 These Holly Green fixed louver shutters offer functionality and beauty, perfectly complementing the stone façade of Southern Living’s 2015 Idea House. 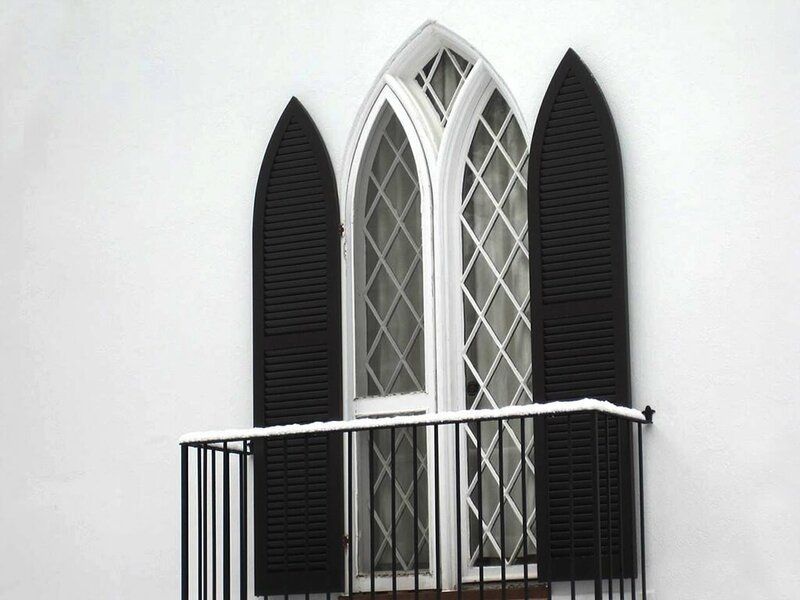 Detail image of our custom-made louver shutters, cut and built to perfectly fit the sharp peak of these Gothic-style church windows. 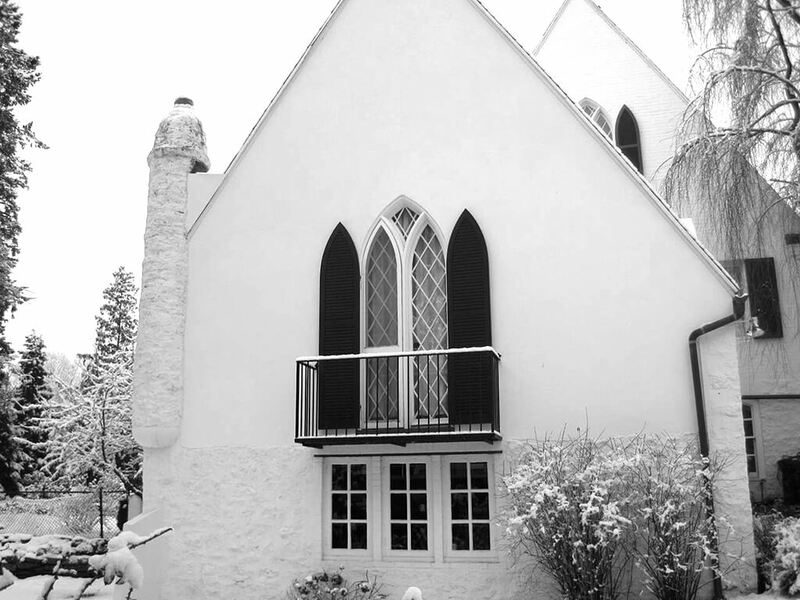 This stunning, snowy scene shows Gothic church windows with custom-made, Pitch Black louvered shutters. 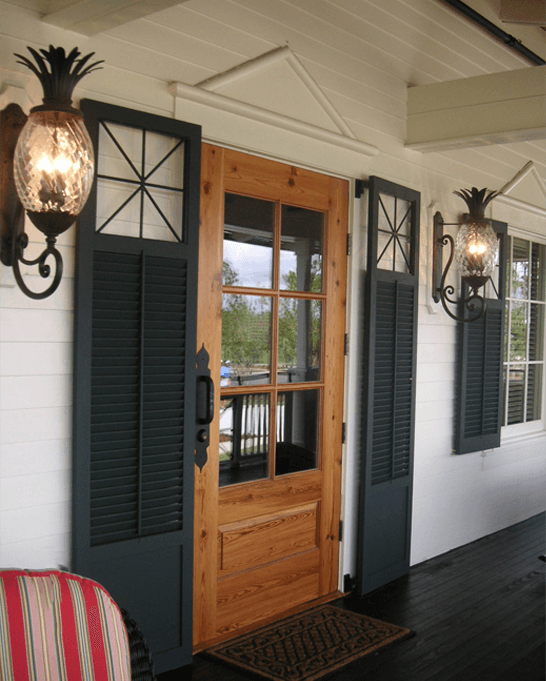 This inviting porch lounge features customized fixed louver shutters mounted on a sliding track to allow privacy, breeze, and a bit of light inside all at the same time. Dark blue fixed louver shutters create visual interest as well as privacy, on both the elevator’s exterior and adjacent windows. 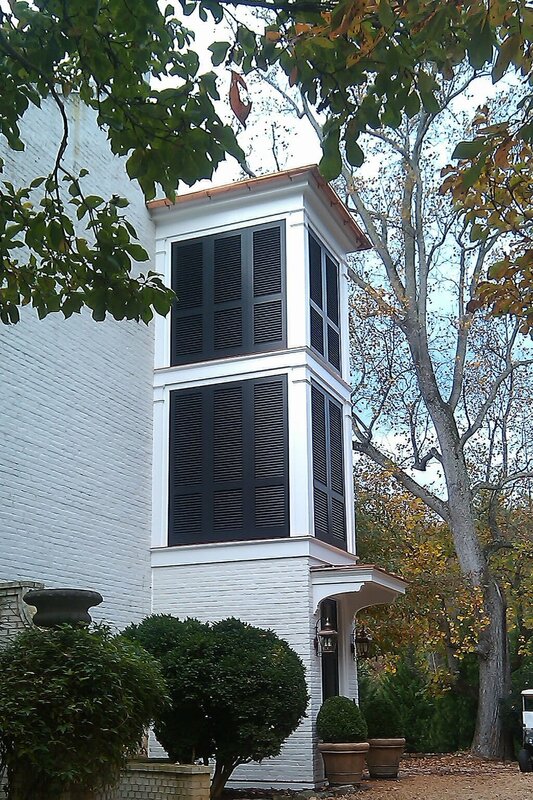 This unique application utilized 60/40 fixed louver shutters to make an accent piece out of this elevator. 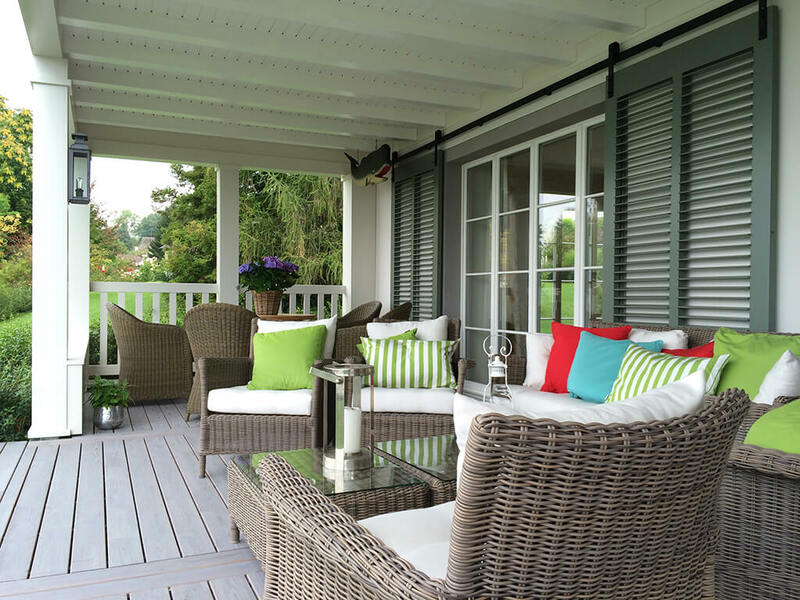 These white Bermuda shutters served as the perfect solution for creating a custom railing for this balcony. 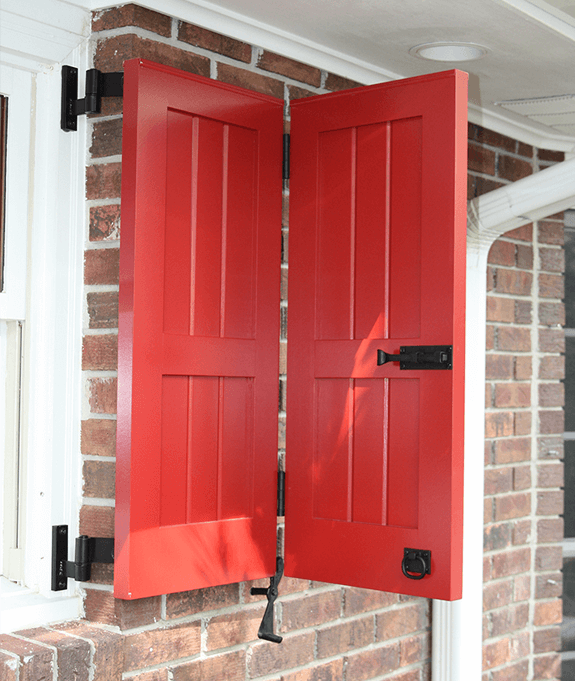 This red, V-Groove panel bifold shutter was designed to cover a wide window where only one shutter will fit. 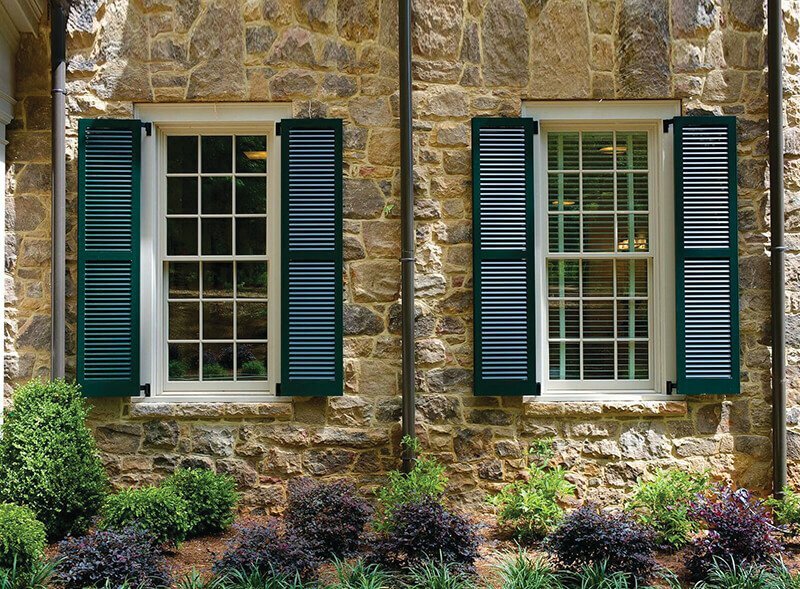 These black, operable louver shutters with custom cutouts provide both functionality and flair. 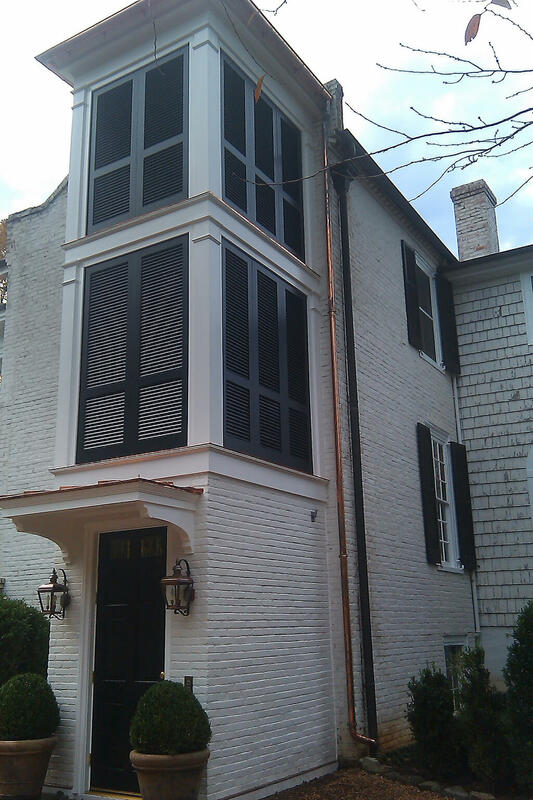 These light gray louver shutters were crafted to fit the door spaces perfectly to provide protection and add style. We created this custom solution of dark blue bermuda shutters to block bright morning sunshine and add an extra touch of design to this kitchen.